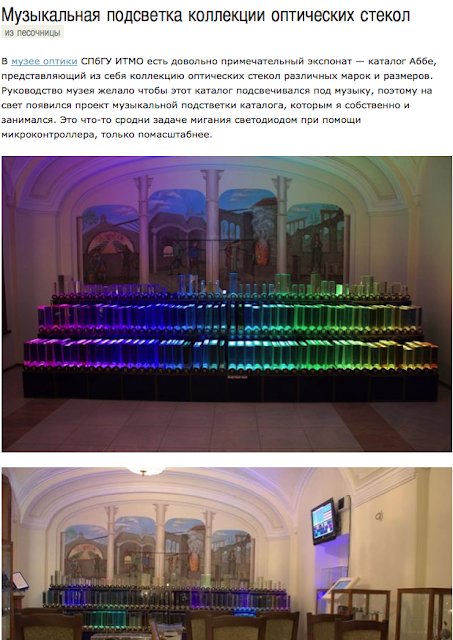 I have just come across this very interesting audiovisual project installation, based in Russia. The glasses are illuminated to the music. It consists of hardware and software to realise the illumination.